We have a vast history of holding successful events at our facilities. Good Park has been home to the Summit County Amateur and the longest continuously run Junior Tournament in America for years! Golf tournaments are an excellent means of fund raising, and we can save you money on green fees, carts and food service. Fill in the form below so Good Park or Mud Run can help you with your golfing tournament needs. Gift cards can be purchased all year long. 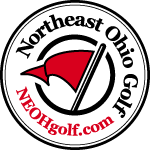 Copyright © 2019 Golf Akron City All Rights Reserved.